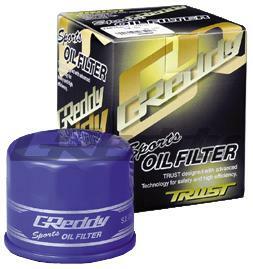 GReddy Oil Filters use “double pleats” folding technology on the inner filter to provide a maximum filtration surface for contaminant removal. And the Sports Oil Filter adds an internal magnet filtration system to trap rust and microscopic metal particles; further protecting vital components. Ideal for GReddy GR Oil, Oil Coolers, and Oil Filter Relocation kits.